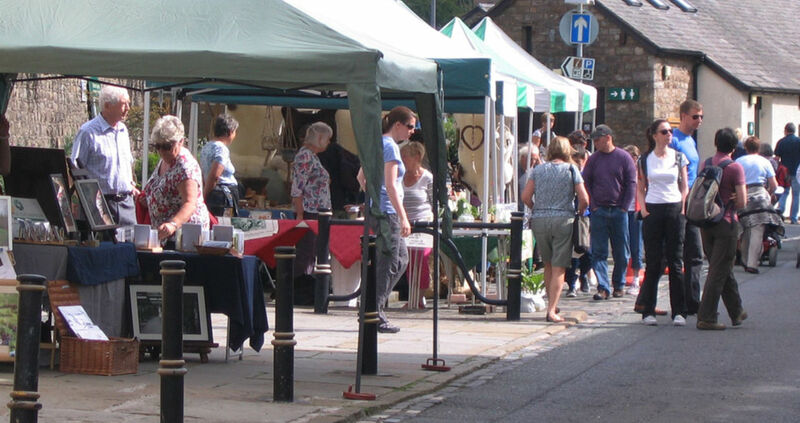 2019 is Sedbergh Artisan Market's seventh year. It's crafts and food presented by the makers themselves. It takes place on the street in the centre of our small town, which is in south-east Cumbria (five miles from M6 junction 37) but historically part of the Yorkshire Dales. We feel the market made a big step up last year; we have always had great traders, but now we have more of them! The overall feeling among traders is good and we are also delighted to have good support from other markets in the region. The markets were started by the town's Chamber of Trade, but have been organised by the Information Centre since 2015. The Information Centre has organised the town's weekly Wednesday market for ten years. Both markets are supported by Sedbergh Parish Council and a big part of plans for the development of the town in the next two or three years. Marketing is currently based on distribution of print publicity to neighbouring towns, postering in Sedbergh itself, and advertising through social media (traders work hard to spread the message, for which we thank them). There are six markets in the spring and summer - one a month from April to September - and one in December. Pitches are £15 each including a parking permit for your vehicle. Many traders rent a 3 x 2 or 3 x 3 metre gazebo from us for an extra £5. Because we are setting up most of the stalls, we ask people not to turn up until 8.30 am for a 9.30 start but it seems to work well. 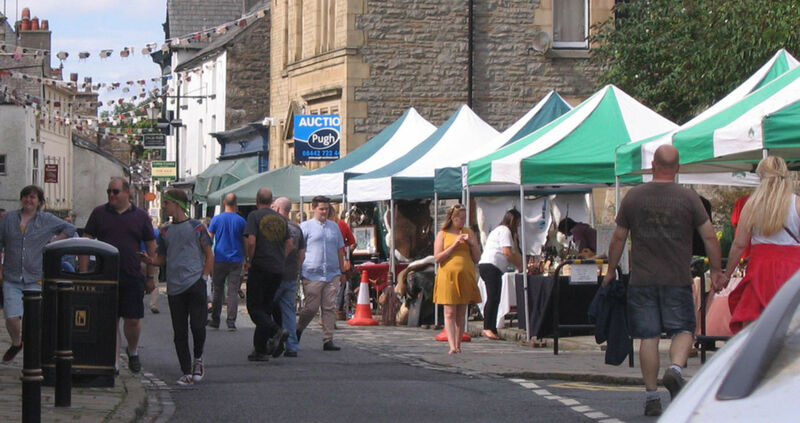 The Artisan Markets are open from 9.30 am to 3 pm, and the dates for 2019 are April 27 (during Sedbergh Food Festival), May 25 (Bank Holiday Saturday), June 22, July 27, August 24 (Bank Holiday Saturday) and September 21 (during Sedbergh Sheepfest). Pitch fees are competitive and we are always looking for traders with an exciting, high-quality idea. Again, gazebos and tables are available for hire.